Eating disorders, defined as anorexia nervosa, bulimia nervosa and eating disorders not otherwise specified, have become a very important public health issue. In general, eating disorders are labelled as culture-bound syndromes as they are more common in Western industrialized countries than in other world areas. They are greatly prevalent in young females. 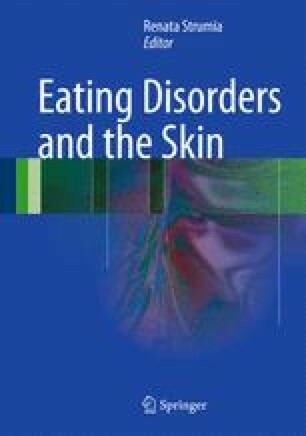 In Western countries, the prevalence of eating disorders among young females is currently estimated as 0.2–1% for anorexia nervosa and as 1.5–5% for bulimia. Partial syndromes are generally reported to be more widespread. Eating disorders are less common in males than in females. Anyway, males are not immune to eating disorders. Some groups of people may also be at high risk for developing eating disorders. Subjects who “have” to be thin for their career or their job appear to be more vulnerable: for this reason, ballet dancers, athletes and models are frequently mentioned as high-risk groups. Eating disorders appear with relative frequency in sports, in particular in sports such as gymnastics, figure skating or resistance sports, in which weight control is important. In this chapter, prevalence and incidence rates as well as developmental and sociocultural risk factors are presented.